You Witnessed a Car Accident – What Next? If you witness a car accident, it can be hard to know what you're supposed to do next. The chaos of the scene, the stress, the adrenaline – it all adds up to a situation that can be confusing and scary. However, car accident witnesses have a very important role to play and can have a big impact on what happens after a car accident has occurred. Below we've outlined what you should do if you witness a car accident. 1. Turn on your hazards and slow down. If you witness a serious car accident while you're driving, it's important that you stop your car and get off the road in a way that doesn't lead to another accident. Turning on your hazards will signal to other drivers that there is a problem and will give them an opportunity to maneuver around you. Slowly pull off of the road, away from the flow of traffic, and be very cautious when approaching the scene of an accident. Don't put yourself in harm's way. 2. Call 911 right away. Don't assume someone else has made the call. It's better to have more than one person call to report an accident than no one at all. The best thing you can do when calling 911 is to give a clear and concise description of the accident. Dispatch will want to know the location of the accident, number of people involved, and if anyone is injured. 3. Stay on the scene. 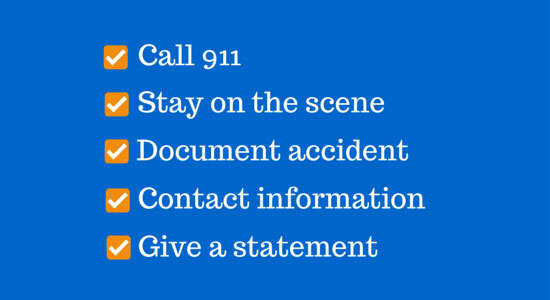 If you witness any type of accident, it's crucial that you stay on the scene until emergency personnel arrive and take your statement. 4. Leave room for emergency vehicles. Police officers, EMS workers, and other emergency professionals need enough space to do their jobs. Once they're on the scene, move away from the accident so they can take over. 5. Think about what you witnessed. Review the details of the accident and take notes and pictures if possible – who was responsible, what happened, what the road and weather conditions were, etc. Photos are especially helpful if your memory fades later and they also record evidence that disappears after the scene has been disturbed. 6. Give a description of the accident to the police. When the police arrive at the scene of the accident, give your name and contact information to law enforcement and, if you can, to the parties involved in the accident. Be honest about what you did and didn't see, because you will be under oath if you're asked to submit to a deposition (testimony of a witness that's not done in a courtroom) or to testify in court. Anything you remember and report can be extremely useful later on. For example, your description of events can help protect an innocent car accident victim if the other party isn't being honest. Serious car accidents have major consequences. For the injured victims, they can mean medical bills, health problems, emotional distress, missed time from work, and more. If you witness a car accident, you may be able to help relieve some of this burden. By simply staying on the accident scene and reporting what you've seen, you can help make sure car accident victims get the compensation they need to start the road to recovery. If you, or someone you know, has been injured in a car accident, you can get in touch with us 24/7 with your questions. “Ten Things to Do When You See A Car Crash.” Jalopnik.com. May 15, 2013. 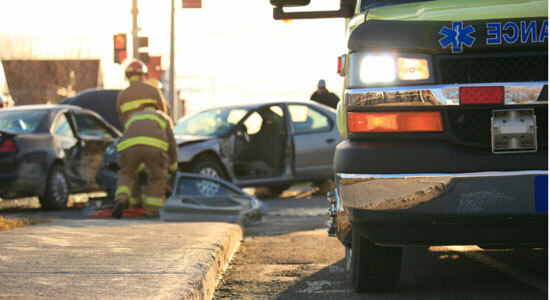 “What to Do if You Witness an Auto Accident.” FreeAdvice.com. August 4, 2015.